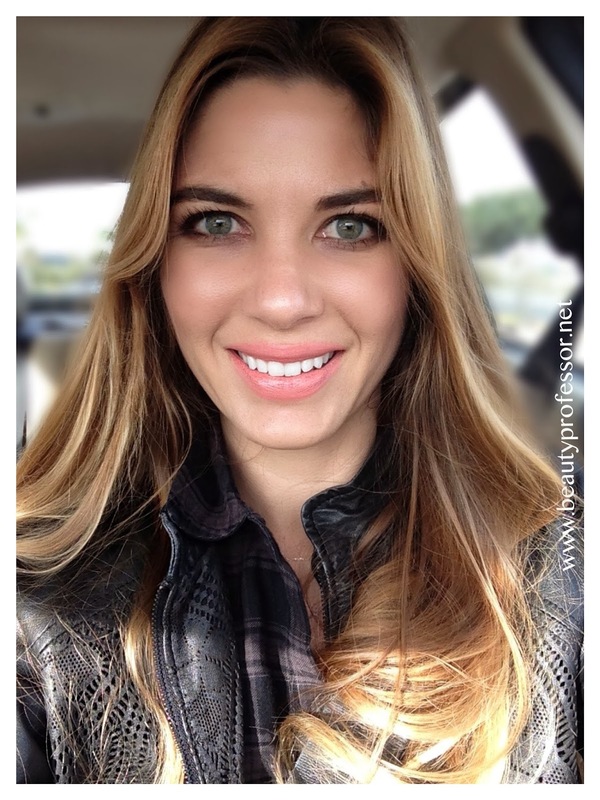 Beauty Professor: Avoiding a Cold Naturally! Above: Some of my favorite products in my "cold fighting" arsenal. Late last week, I felt a cold coming upon me...I'm sure you are familiar with the feeling: headache, exhaustion, "sand" sensation in the back of the throat, feeling generally "off." After managing to avoid getting sick over my Christmas break when it felt like everyone around me was fighting a cold, I resolved to not succumb to germs now that I am back to work! In turn, I resorted to embracing some tried, test and true natural home remedies (all purchased at Whole Foods Market and the regular grocery store) to increase my immunity and ward off those pesky germs. Over the course of two days of intentional combat, Vitamin C, Chinese herbs, a special family drink remedy and immunity shots in the form of a spray collectively worked together to fight the emerging cold and fully restore my health...totally thankful am I! 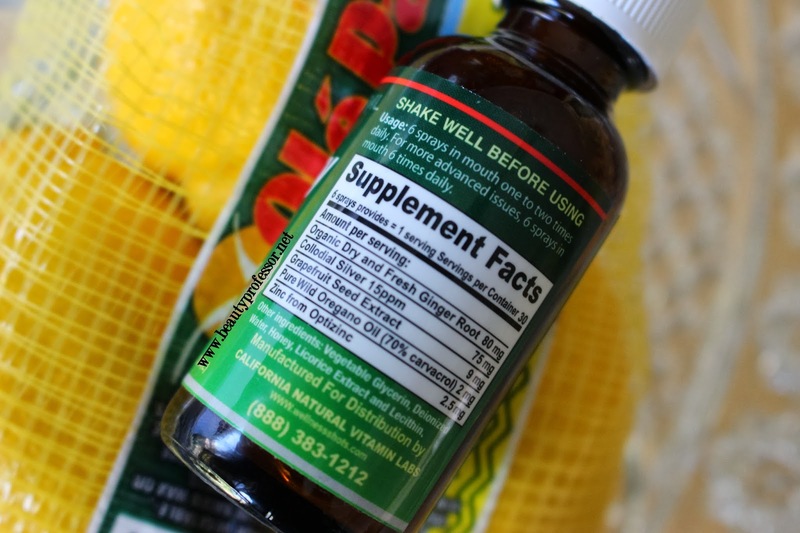 Scroll on to learn more about my natural "cold fighting" arsenal, including a family recipe! Above: I started my course of treatment by taking three Yin Chiao pills every four hours. This Chinese herbal remedy is designed to be taken at the onset of a cold to naturally fight symptoms from increasing to full blown status. Above: The active herbs in the Yin Chiao formula. Lemons: The amount of Vitamin C and other health benefits that a single lemon possesses is significant! 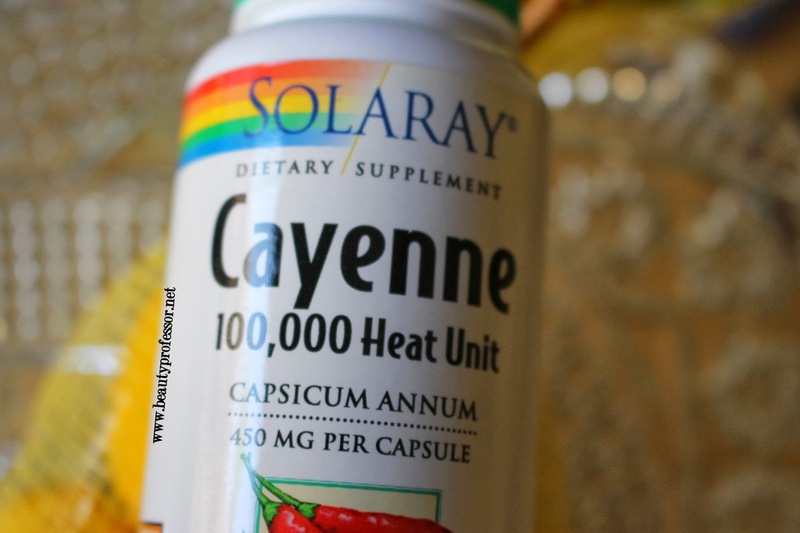 Above: The cayenne pepper capsule that I take both as a supplement as well as an ingredient in my family's Lemon Drink. Cayenne Pepper, which is a natural antibiotic can be taken in pill form, or mixed into a "Lemon Drink," which is my family's special recipe (see below). It is spicy but when thought of as a "challenge," it is entirely feasible to consume! Above: Scratchy throat? 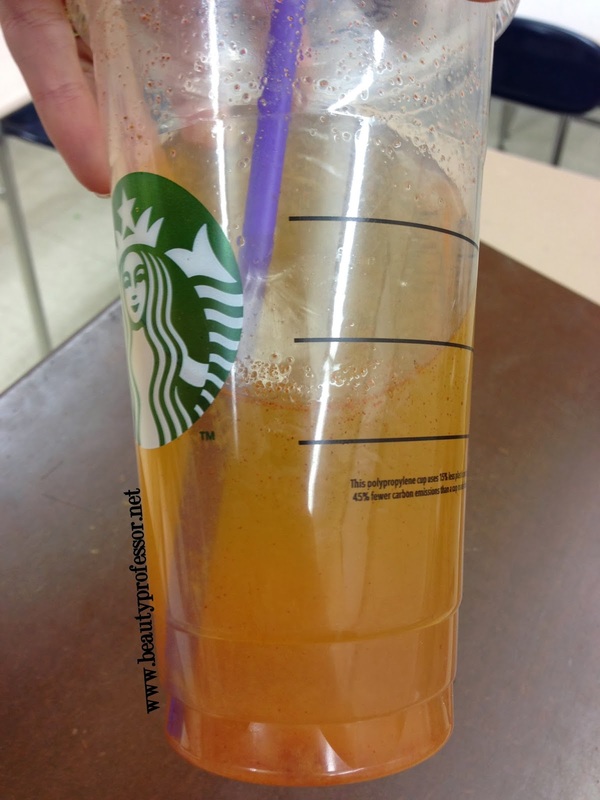 Make a Lemon Drink ASAP! Growing up, every time I started to feel sick, my dad would make me a Lemon Drink, which was his own special recipe to fight a cold...the lemon juice delivers massive amounts of unmitigated Vitamin C, the honey soothes the throat and the cayenne pepper acts as a natural antibiotic to combat bacteria. Not the tastiest beverage in the world, but definitely an effective one...when consumed at the onset of a cold, it almost always kept me from getting worse! Above: This Immunity Shot spray was a new addition to my arsenal...to be honest, it tastes quite hideous, but the positive effects of the active ingredients were undeniable. Above: The ingredients in the Immunity Shots spray...I ended up taking about 18 shots per day over the course of two days...not at all tasty, but totally successful. Bottom Line: You can't always avoid getting a cold, but sometimes, preventative, homeopathic remedies can help to combat the development of an illness. I am thankful to have grown up in a family where natural avenues were always taken before resorting to traditional medication; in turn, I still embrace that instinct today! 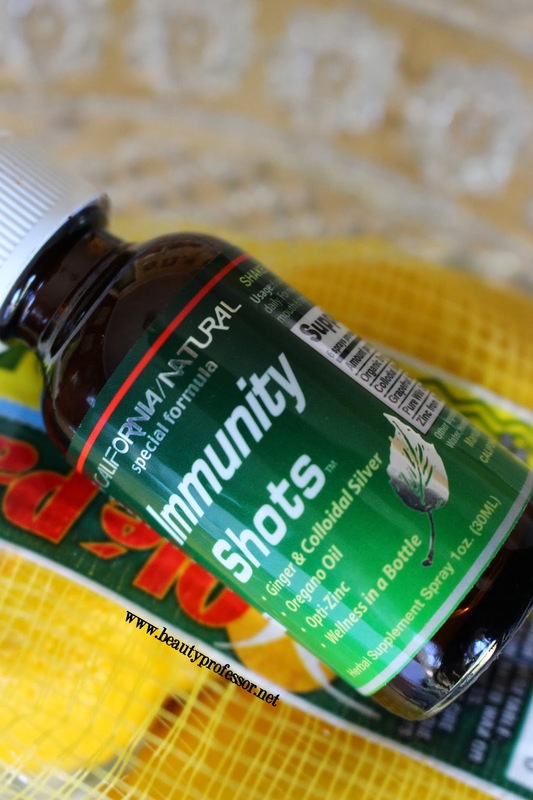 I highly recommend trying the products I've mentioned in this post at the onset of a cold...it's not a guarantee, of course, but it is definitely worth a try. What do YOU do to fight a cold? Please share! What a wonderful post. I will be definatly jotting this recipe down for future reference. I'm pleased that it kept your cold at bat. I am a total believer in natural remedies as well. I also follow that with the kids as well, they all take a multi vitamin everyday which really seems to keep the bugs away. Lovely to see a something a little different. Hope you're feeling good now. Thank you! I love that you are a fan of natural remedies and vitamins as well. They can be so effective! Oh, and I am happy to report that I am completely well now...cold completely averted...thank you! I've used Zicam for years succesfully. The biggest thing for me is to get lots of sleep if I feel something coming on. I'm also using Sprayology's homeopathic Cold & Flu spray this season. Everybody at work has been sick and I'm in and out of hospitals for meetings, but so far so good! Thanks for sharing your favorite remedies...I have heard great things about Zicam but haven't tried it myself. Ahh...sleep...I've heard great things about that too ; ) Just wish could get more! Stay well and healthy, my friend and have a lovely week!